Variation Scent: Fresh Scent 12.7 kg. 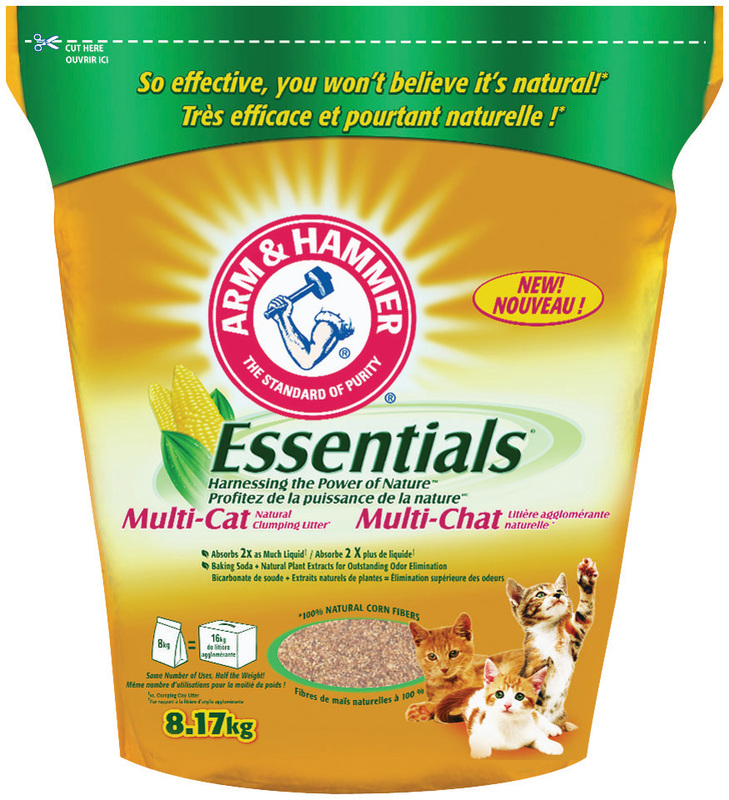 What are the ingredients in ARM & HAMMER™ Super Scoop™ Cat Litter? The product contains ingredients to aid in odor control. To form rock solid clumps, ARM & HAMMER™ Super Scoop™ contains premium grade sodium bentonite, a special type of clay. To eliminate odors, the product contains an Ammonia Odor Block formula with powerful crystals. The Fresh Scent version also contains a moisture-activated fragrance.  How do I use ARM & HAMMER™ Super Scoop™? 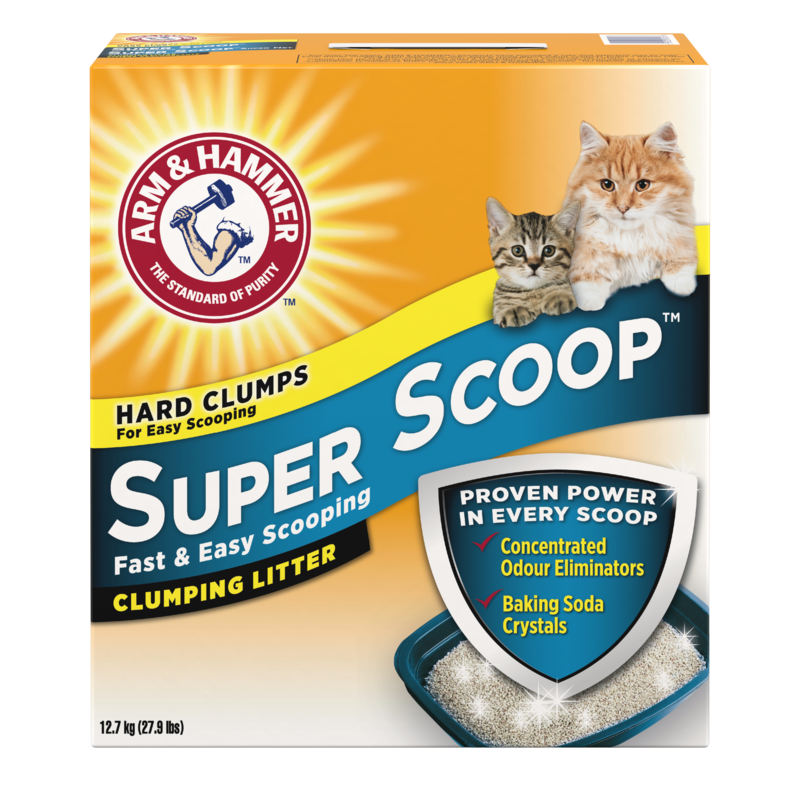 When using ARM & HAMMER™ Super Scoop™ for the first time begin with a clean, empty litter box. 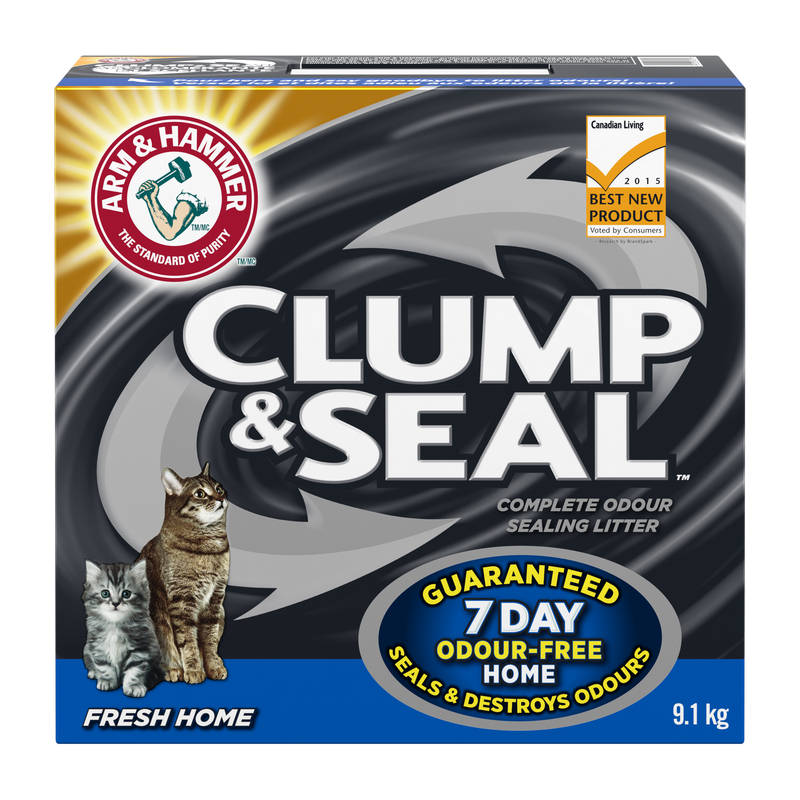 Fill the litter box with at least 3-4 inches of ARM & HAMMER™ Super Scoop™. As your cat uses the litter box, scoop out soiled clumps and solids. 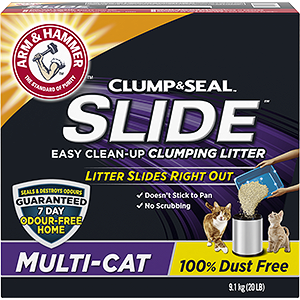 The quick, hard clumping action of ARM & HAMMER™ Super Scoop™ locks odors inside and helps prevent crumbling so the rest of the litter stays first-day-fresh longer. After you groom the litter box by removing the odor clumps and solids, replace the discarded litter with a sprinkling of fresh litter. Please be sure to maintain at least a 3-4- inch layer in the box. I have been using it a lot and I am very satisfied. Loved it! The odor was kept to a minimum with daily cleaning. 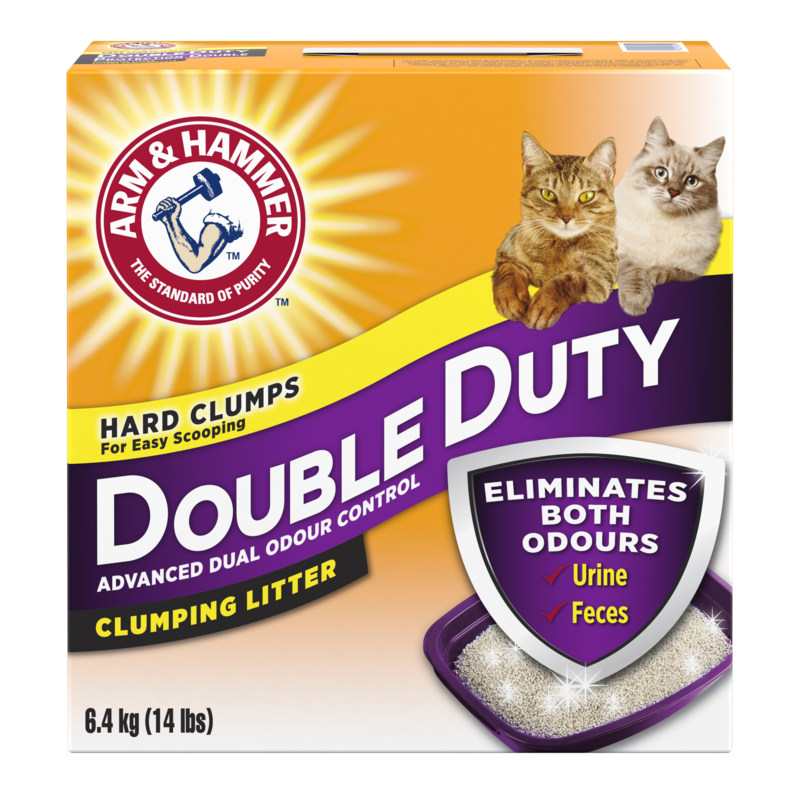 Occasionally I tray a new type of litter and always go back to Arm & Hammer.